The next cell of the Reliance JioPhone 2 feature phone will be launched on 12 September 12:00 at jio.com. 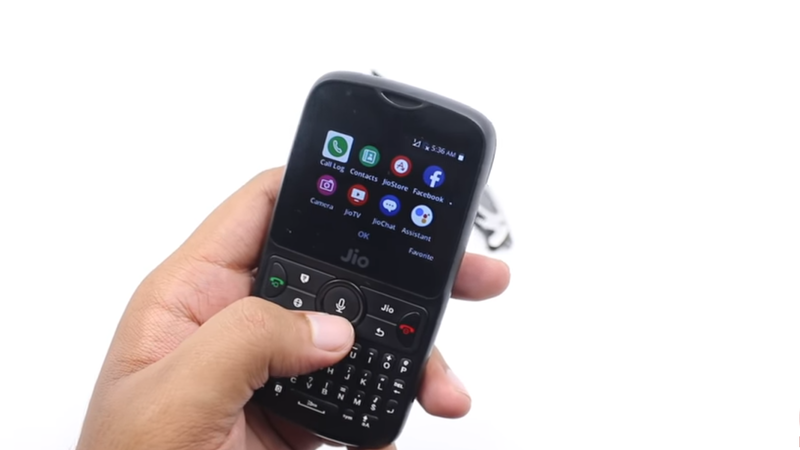 Reliance Jio has announced the next sale of its JioPhone 2, let you know that the next cell for this device will be on September 12. This cell is scheduled to be held at jio.com on Upcoming Wednesday at 12 noon. JioPhone 2 is going to be the fourth cell of the next cell device. Three cells have already been installed, and in these three cells, this device was sold out in a while. The price of JioPhone 2 is Rs 2,999. Apart from this, you will have to choose from three recharge packs while taking this device, the cost of these plans is Rs 49, Rs 99, and Rs 153. As it was seen in its previous two sales, this cell is going to be brought in with some limited units in this cell. In the phone you are getting a 2.40-inch 240x320 pixel resolution display. In addition, it is also getting a 512MB RAM. You also get 4GB of internal storage in the phone. You can extend it up to 128GB with the help of MicroSD card. The phone has a 2-megapixel primary camera and 0.3-megapixel front camera. The phone has been launched with KaiOS, and it also has a battery of 2,000mAh capacity.